Import Aerial Images from Google into QGIS? I am looking to import an image from Google Earth into an existing QGIS project. Is it possible to download geo-referenced images from google maps (or google earth) and import into QGIS? What CRS are these likely to be in? Also bear in mind that there are licence limitations to the Google imagery depending on how you plan to use it. You might want to use the Openlayers plugin, which includes imagery from Google Satellite. There is a also a simple plugin called Tile+. This Plugin provides some popular basemap like OSM, Bing, ESRI, Google, Stamen and also some updated earth data like rainfall rate, earth visibility, sea surface temperature, etc. 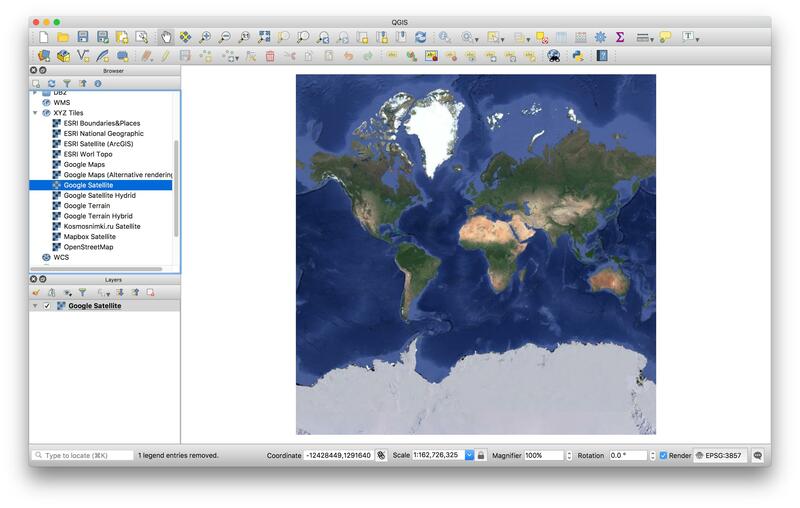 This plugin enable user to load basemap easily to QGIS 3. Not the answer you're looking for? 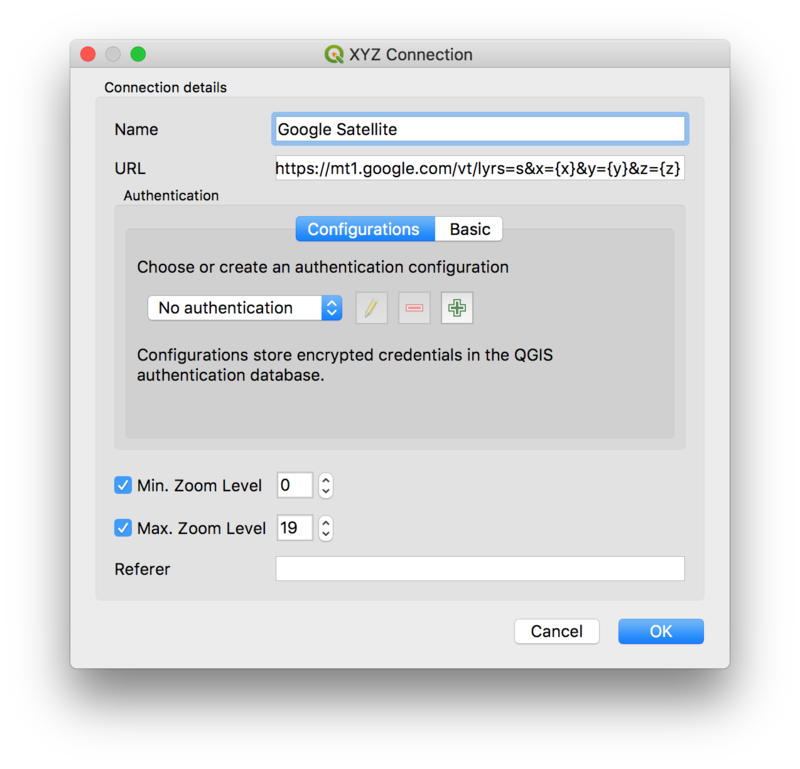 Browse other questions tagged qgis google-maps import image or ask your own question. Why does Google satellite layer change the project CRS? How to merge several google map images into one? Importing data from Google Earth (points, lines and polygons with their attributes) into QGIS?